If you are working to adopt a child from a state other than your own, you have probably encountered the acronym ICPC. 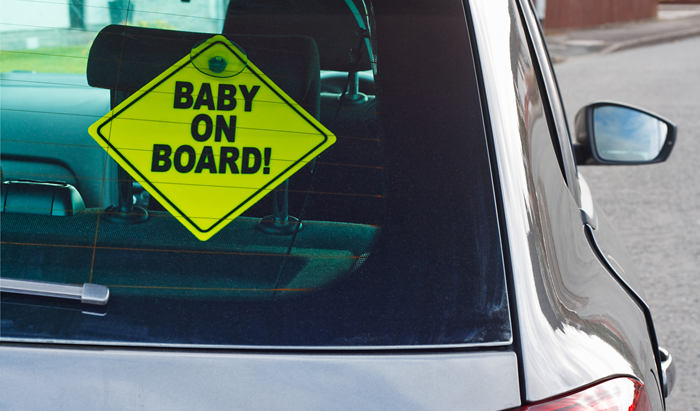 What does this mean and how does it work—and how will it affect the timeframe for traveling home with your child? ICPC stands for the Interstate Compact on the Placement of Children, or “Compact.” This is an agreement entered into by all 50 states, the District of Columbia, and the Virgin Islands. It constitutes statutory law in each member jurisdiction, which means that each of the states has made the ICPC part of its adoption laws. The Compact establishes uniform requirements and procedures for the movement of children in foster care or adoptive placements across state lines. It was enacted in the 1960s to ensure that children’s whereabouts remained known as they moved from state to state, and that children are placed in safe and approved residences. Will the ICPC apply to our adoption? In domestic adoption cases, whether independent, agency, or public agency (such as children in foster care), ICPC approval must be obtained before the child crosses state lines for the purposes of adoption. The ICPC does not apply to intercountry adoptions. It is important to remember that compliance with the Compact is mandatory and that proceedings under the ICPC are separate from the actual adoption proceedings that are filed in court in your home state. How do we obtain ICPC approval? In an adoption, the state where the birth mother resides and where the child was born is deemed the “sending” state. The state where the adoptive parents live and where they will take the child is considered the “receiving” state. After the birth of the child, approval must be obtained from the ICPC Administrator in both the sending and receiving states before the family can return to their home state with the child. Although specific practices vary with each state, ICPC approval is always obtained after the child is born. Different states call for different documents, but most require a completed home study from the adopting parents and a social and medical history on the birth parents. ICPC approval can be obtained quickly and efficiently by researching requirements and gathering as much of the necessary paperwork as possible prior to the birth of the child. In an independent adoption, the birth mother’s attorney is usually the one who submits the documents. If the placement is to be made through an adoption agency in the sending state, the agency is the legal entity “sending” the child, so the placing agency will submit the documents to ICPC. The ICPC Administrator in the sending state will review the submission, endorse it, and forward the package to the administrator in the receiving state. Once the receiving state approves the placement, the adoptive parents receive permission to bring their child home. As an example, let’s say adoptive parents from Virginia have made an adoption plan with birth parents in Maryland. Following the birth, the birth parents would place the child with the adopting parents in Maryland and a submission would be made to the Maryland ICPC Administrator in Baltimore. The administrator would approve the placement and send the paperwork on to the Virginia ICPC Administrator. After that state gave its approval, the new family could return home to Virginia. In an agency or independent adoption, ICPC approval can take as little as a few days or long as several weeks. The child must remain in the birth state during this time. Because of this, most parents who have been through the process recommend finding an extended stay hotel with laundry facilities and a kitchenette in the room. A recent, and continuing, improvement of the ICPC is the introduction of the National Electronic Interstate Compact Enterprise, referred to as NEICE. When the ICPC was first initiated in the 1960s, information and documents were transmitted by U.S. Mail. With the introduction of overnight delivery services, ICPC submissions were made through Federal Express and other such services. Now, the cloud-based NEICE system permits ICPC offices to exchange information and documents through the Internet in a secure fashion. NEICE was launched in six states in 2013. In the pilot program, it significantly shortened the ICPC approval time, as well as reduced the costs for states. States must sign on and pay an annual fee to join NEICE. At this time, 12 states plus the District of Columbia have implemented NEICE, and many others are planning to or considering joining (click here to see the current NEICE implementation map). The ICPC should not be viewed as a hurdle or test that adoptive parents must overcome when their child is born in another state. The Compact’s intentions are to provide a basic safeguard for children and a mechanism to monitor the movement of children as they travel from state to state. An experienced adoption attorney or child-placing agency can ensure that ICPC approval is obtained quickly after the placement of a child for adoption, and that adoptive parents can return home with their family with little or no delay.